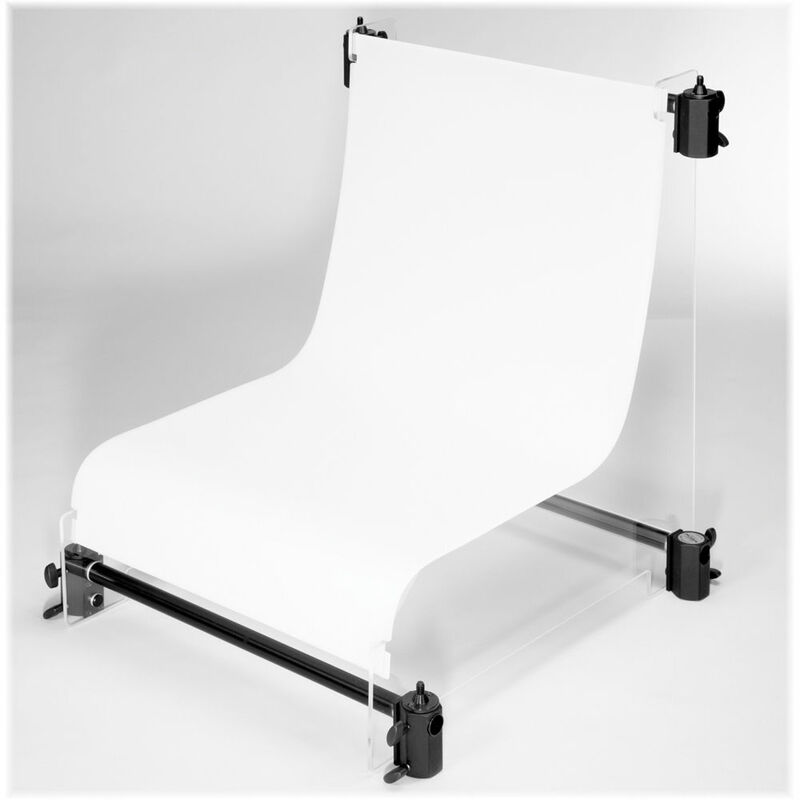 The Foba DIMIC Shooting Table is a small lightweight collapsible shooting table that's perfect for product photography. The assembled table is 19.7" (50 cm) wide and weighs 51 lb (23.1 kg). It requires separate purchase of a curved DIMIA acrylic shooting surface.